This classic 66 inch cast iron claw foot tub adds a vintage touch to your home bathroom. With timeless styling and ornate tub feet, this tub will provide warmth and durability because of its cast iron construction. Without pre-drilled faucet holes it will require the use of freestanding tub filler or wall-mount tub filler for use. Enhance the elegance of your bathroom with the Collete Solid Surface Freestanding Bathtub. The man-made stone is a combination of ground up natural stone and acrylic resin that creates a durable and velvety feel. Known for its renewable finish, natural heat retention and non-porous traits means that your tub is inherently easy to care for. Perfect for a relaxing and luxurious bathing experience. The classic Slipper cast iron claw foot tub adds a vintage touch to your home bathroom. With timeless styling and ornate tub feet, this tub will provide warmth and durability because of its cast iron construction. Combo set includes tub, faucet, drain and supply lines. Contemporary 4.9 ft. Acrylic Rectangular Drop-in Front Drain Bathtub in White With straight lines, the Contemporary 59 inch Acrylic Bathtub tub transforms your bathroom into a personal spa. The soaking tub will help you to relax comfortably with double ended design. In a durable acrylic construction with fibreglass reinforcement. 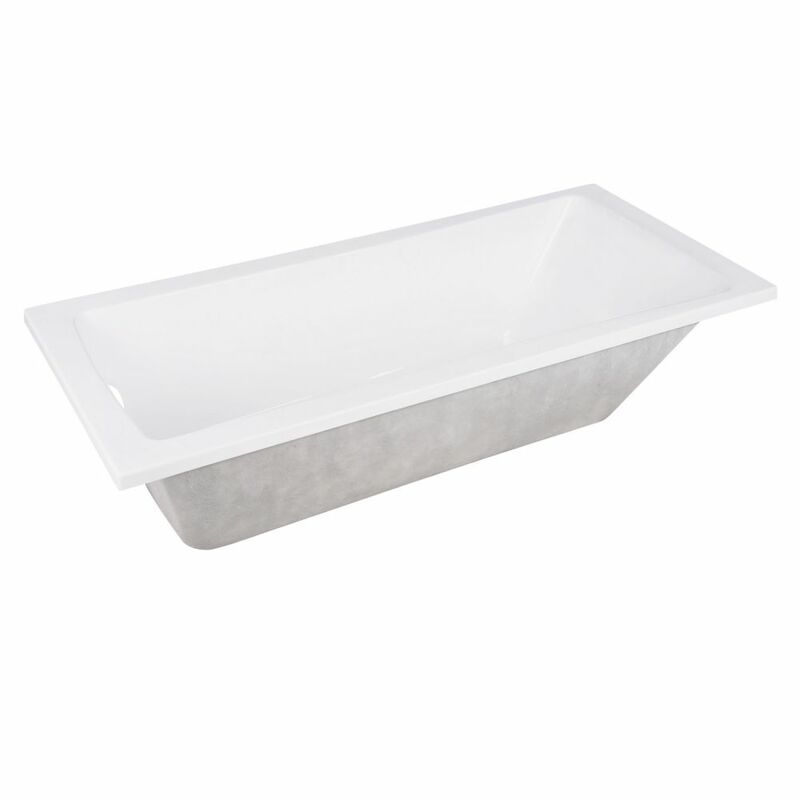 Contemporary 4.9 ft. Acrylic Rectangular Drop-in Front Drain Bathtub in White is rated 4.0 out of 5 by 3. Rated 4 out of 5 by MJ from Great sturdy tub! Slightly smaller than I expected but that's... Great sturdy tub! Slightly smaller than I expected but that's what happens when ordering online. Overall I'm happy with the purchase. Rated 3 out of 5 by JYount from Ended up returning. Changed my mind and wanted to... Ended up returning. Changed my mind and wanted to do an undermount tub instead of a drop in tub. Rated 5 out of 5 by Catherine from Great ... note that this does not have a lot... Great ... note that this does not have a lot of room on the sides, so hello wall racks. Love the modern crisp clean look and the quality. Would buy again.